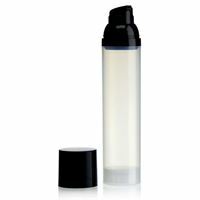 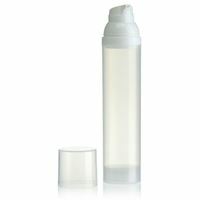 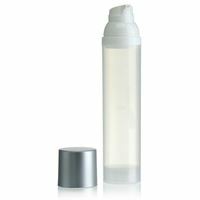 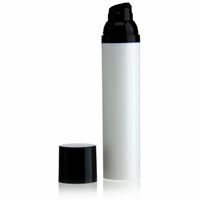 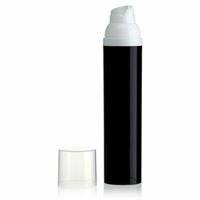 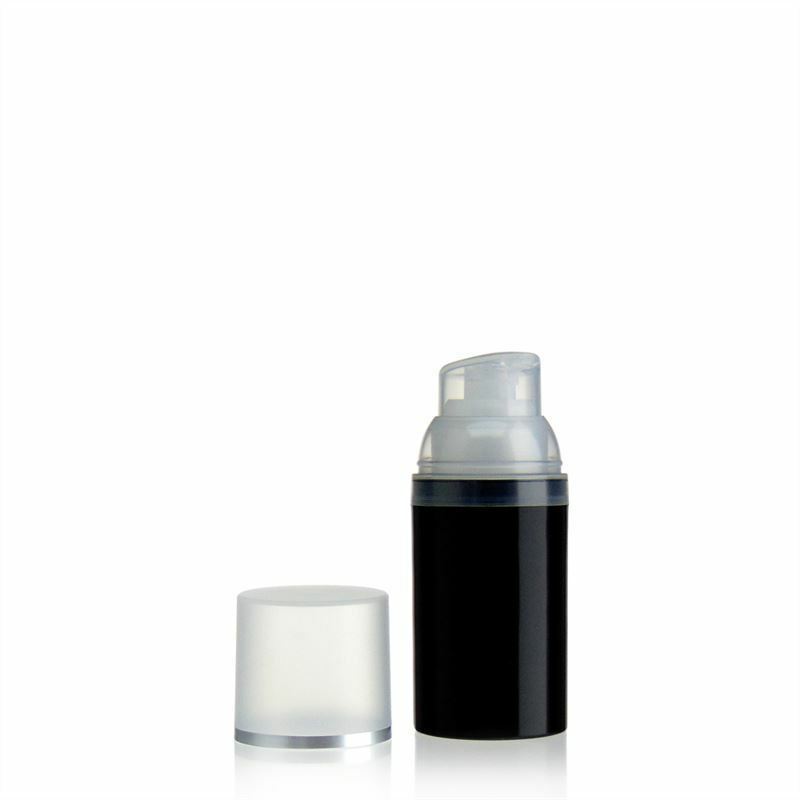 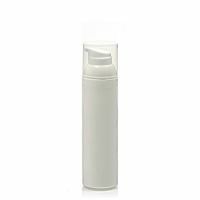 Plastic container with airless dispenser nozzle, for the precise application of cosmetics and hair care creams, lotions and serums. 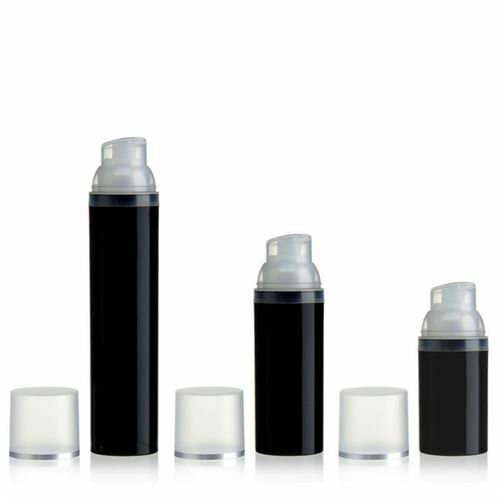 The quantity issued per stroke is ca. 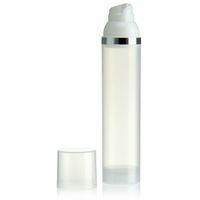 0,8 ml.